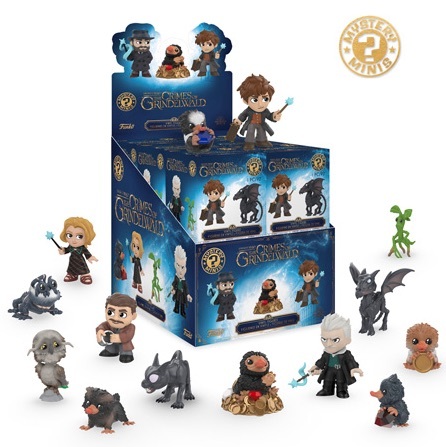 Centered on Fantastic Beasts: The Crimes of Grindelwald, the first Funko Fantastic Beasts Mystery Minis set helps fans of the Harry Potter prequel dive even further into the wizarding story. Just as with Funko Pop Fantastic Beasts, the many whimsical creatures take much of the focus in the blind-box release. However, the line makes room for key characters Newt Scamander and Jacob Kowalski from Fantastic Beasts and Where to Find Them, as well as famed wizards Albus Dumbledore (Jude Law) and Gellert Grindelwald (Johnny Depp). Plus, Queenie is a tough chase at 1:72 boxes. Buy Fantastic Beasts Mystery Minis Boxes on Entertainment Earth. In addition, the cute Nifflers get plenty of coverage with multiple baby versions that each hold a different coin or gem. Pickett the Bowtruckle is another option. More choices include a Chupacabra, Matagot, Thestral and Augurey, which is an Irish Phoenix. The initial information also mentioned a Fwooper figure, but the pink bird is not among the main figures. Perhaps this is one of the to-be-announced exclusives, assuming it's not a mistake. 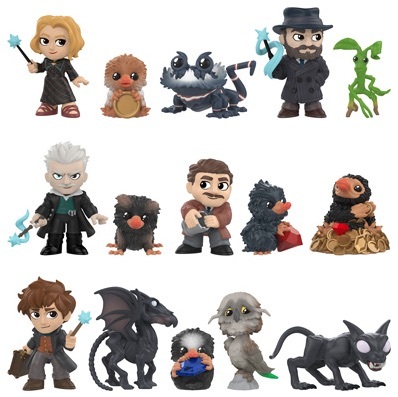 Shop Fantastic Beasts Mystery Minis Cases on Entertainment Earth.